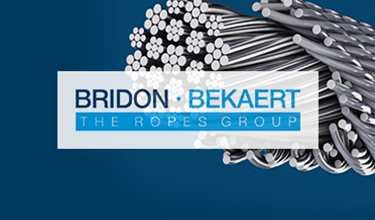 Bridon-Bekaert The Ropes Group (BBRG) was formed on 29th June 2016 by the merger of Bridon Group with the steel ropes and advanced cords businesses of Bekaert. Together, an unrivalled partnership was created, capitalising on over 300 years of combined expertise and technology leadership. Prior to the merger in 2016, Bridon and Bekaert were already business partners. Not only did they source steel wire, ropes and half-products from one another, they were also involved in an important joint venture many years ago. During the recession of the early 1930s, trade tariffs were put on imports of steel wire to the UK. In response, the Belgian steel wire maker Tréfileries Leon Bekaert needed to set up a UK factory to produce wire. Bekaert set up production in association with Templeborough Rolling Mills Ltd, a local supplier of wire rods, and in 1933 it joined with British Ropes Ltd and the United Steel Companies Ltd to form Tinsley Wire Industries Ltd (TWIL) with a factory at Tinsley in Sheffield. Production steadily increased and in 1973 Tinsley Wire Industries Ltd were the third largest wire producer in the UK with an emphasis on high quality galvanised wires for Steel Wire Fencing, including barbed wire and welded panels. In the same year the company acquired another UK factory called Rylands from British Steel who were in the process of restructuring. In 1976 a new parent company was formed, co-owned by Bekaert, British Steel, and Bridon. Bekaert later aquired full ownership until the UK facilities went on to become Betafence, a Belgian owned global fence maker when the Tinsley Wire name was dropped from the records. 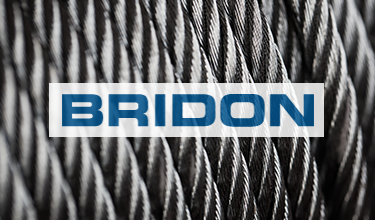 Bridon - the world leading specialist in the manufacture of rope solutions for the most demanding applications. Bridon Group operated eleven manufacturing units worldwide with market-focused technical and sales offices, supported by a global network of agents and distributors. Prior to the merger, Bridon employed more than 1,600 people worldwide. Bridon's position in demanding worldwide markets originated from the ability to provide a comprehensive and competitive range of solutions in steel wire, rope and strand, and a strong reputation for the delivery of high quality wire and rope products, seamless service and on-site operational support. Bridon has been owned by Ontario Teacher's Pension Plan (OTPP) since 2014. OTPP is Canada's largest single-profession pension plan with CAD 155 billion in net assets. OTPP pays pensions and invests plan assets on behalf of 311,000 working and retired teachers. Since its establishment as an independent organization in 1990, OTPP has built an international reputation for innovation and leadership in investment management and member services. It employs more than 1,000 employees at the head office in Toronto, Canada and investment offices in London and Hong Kong. Bekaert is a global market and technology leader in steel wire transformation and coating technologies, pursuing to be the preferred supplier for steel wire products and solutions by continuously delivering superior value to customers worldwide. 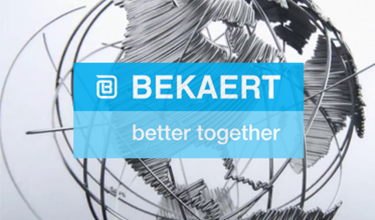 Bekaert (Euronext Brussels: BEKB) is a global company with approximately 30,000 employees worldwide, with its headquarters in Belgium and € 4 billion in annual revenue. Steel ropes and advanced cords were a platform within Bekaert's broad range of steel wire applications. Prior to the merger with Bridon Group, the company had been gradually expanding its wire ropes platform to serve mining, oil and gas, lifting equipment, and infrastructure markets with high performance ropes. Bekaert's recent growth strategy targeted both organic and acquisitive growth in markets where its core competences, global reach, and service model were differentiating factors. Bekaert's advanced cords activities serve automotive, elevator and other industrial markets with fine cords for transmission, conveying, and hoisting applications. Founded in 1886, Wire Rope Industries (WRI) has been providing customers around the world with high-quality wire ropes for over 125 years. 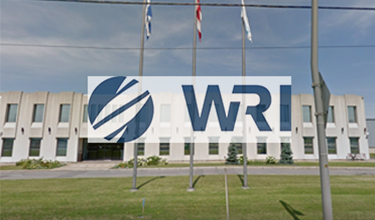 With headquarters and production facility in Montreal, WRI is one of the most respected solution providers in the industry. Today, WRI is a high-end supplier for specialized market segments where rope performance is critical and directly contributes to the bottom line. Our mission is to create value for our customers. We recently developed and successfully launched several revolutionary products, including patented Ultra ropes for shovels and draglines, and Cushion-Pac 35 hoist ropes for underground mining. Another cutting edge invention is the new Oil Sands Rope™, which is outperforming the competitors by a large margin in the harshest surface mining environment in the world. Continuous innovation has helped WRI establish itself as a market leader in the Americas. The key part of our success is how our clients view us today – as a reliable partner that enables them to bring their productivity and safety to another level. In order to support our customers' growth and continue exceeding their expectations, we initiated a series of major investments in specialized machinery and human resources. Our new capabilities enable us to continue adding major accounts in all geographies. Through cooperation with our parent company, Bekaert Group, the world leader in wire products, we continuously push the boundaries of technology to offer the best quality wire with exceptional corrosion resistance. An association between Broken Hill Proprietary Co. Ltd. (BHP) and rope manufacturers in Great Britain led to the establishment in 1923 of a wire rope manufacturing facility in Newcastle. A new company was formed under the name, Australian Wire Rope Works. A site was selected in Newcastle, and a state of the art factory was built, with advanced manufacturing equipment, producing ropes compliant with British standards. 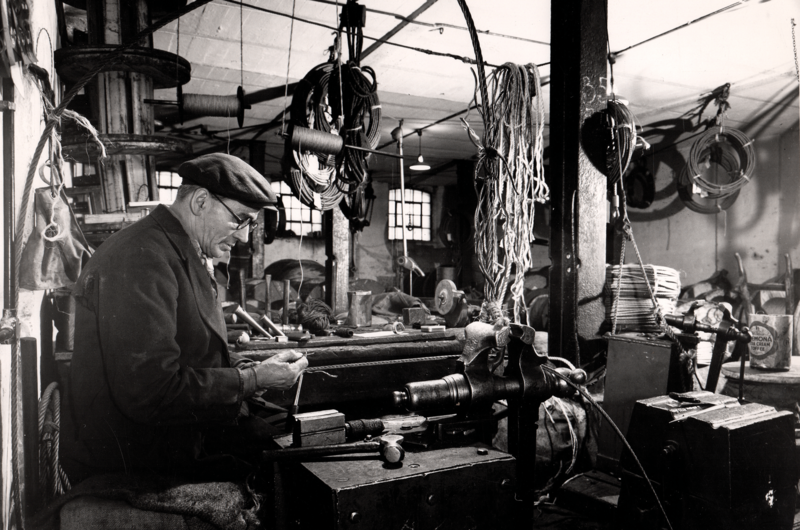 Rope manufacturing began in 1925 and in 1933 the company became a fully owned subsidiary of BHP. During the 1940s the rope works was upgraded to meet the needs of the defence and communication industries. After 1945, Australia entered a boom period. The economy developed strongly and in the 1950s the Wire Rope Works was involved in major nation building projects such as the Snowy Mountains Scheme. In 1958, BHP consolidated and Australian Wire Rope Works became part of Australian Wire Industries (AWI). The 1970s and 1980s mining boom required new, advanced machines and additional capacity, with the capability to produce rope up to 150mm diameter, in 60 tonne parcels. In 2000, the Long Products steel division separated from BHP and OneSteel was formed. Recognising the key role of the rope business, OneSteel began making strategic investments, such as the installation of one of the world’s largest electronically controlled rope closers in 2002, capable of producing 200mm diameter rope, and the installation of specialist plastic infusion equipment in 2009. In July 2012, OneSteel, as a listed company, was renamed Arrium. Concurrently the rope business was rebranded as Moly-Cop Ropes, and we became part of the global mining consumables business of Moly-Cop. In March 2015 Arrium Limited sold its Wire Ropes business to Bekaert, a Belgium based company, specialising in wire products and coatings. 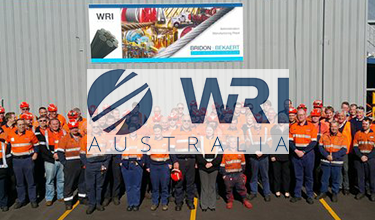 MolyCop ropes was rebranded as WRI Australia, representing the brand used by the Bekaert Ropes Group businesses of Wire Rope Industries in North America, who themselves have over 125 years’ experience in wire ropes solutions for the mining and industrial sectors. 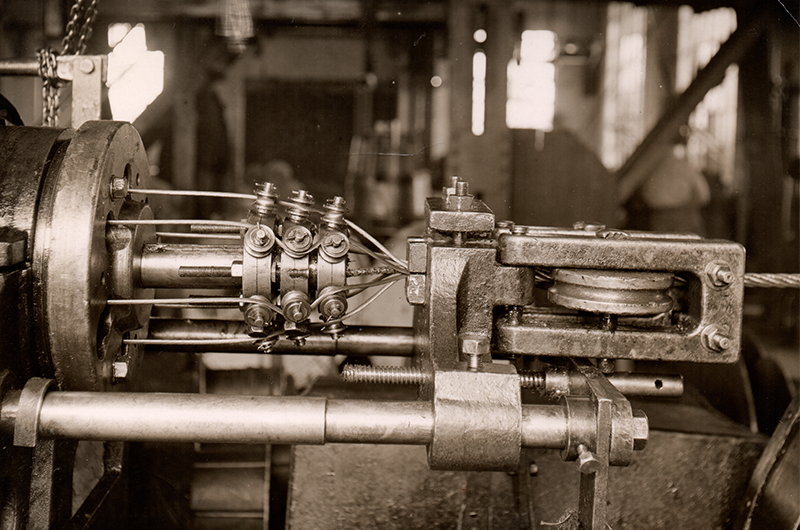 The first steel ropes factory in Brazil Cimaf started its activities in 1948, when we used to manufacture screws, starting the first steel ropes factory in Brazil. The goal was to supply the growing demand in civil construction, mechanical engineering, steel, mining, automotive, and transportation of cargo and passengers. In 1953, the first steel rope for tractors and general use were produced. Then, we've developed the rope to elevators, also a pioneer in the country. But that was only the beginning. The company has always been committed to clearly identify its products. So, to facilitate the work of custumers, in 1965 we launched the Yellow Strip and slings with higher strength and flexibility. Still now, these are products recognized for its quality and durability. 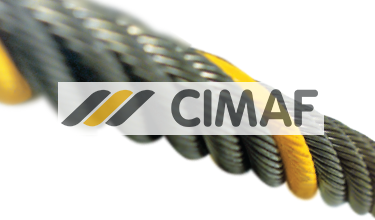 Between the years 1969 and 1976, Cimaf pioneered the introduction of the steel cord in Brazil and due to the high cost of importing equipment, Cimaf manufactured its own equipment until 1980. In just ten years, Cimaf won self-sufficiency in the production of wires for steel ropes and, with the purchase of a giant planetary machine, became the largest producer of steel ropes in Latin America. For the first time in Brazil, it was possible to produce reels with 100 tons of steel ropes in a single shot and with diameters of up to 6 inches. It was from this moment that the company began to participate heavily in the oil and gas industry, including the docking operations on large offshore platforms. Today, all our the productive power is now concentrated in the production of steel ropes that rival or surpass the most advanced ropes in the world in performance and quality. In the middle of the 20th century, Chile developed a large fishing and mining industry, which depended on the use of steel cables in its machinery. This dependency was satisfied by the importation of steel ropes due to the lack of factories in South America. It was during the second half of the sixties when the British company Bridon decided to expand its horizons and set up a factory outside Europe. Due to its mining and fishing offerings, Chile offered a great opportunity. That is how Productos Industriales S.A. or Prodinsa was born--as an import company of steel ropes. After studying and establishing the opportunities offered by Chile and South America, Bridon decided to create a Prodinsa factory in 1967, when Productos Industriales S.A. was replaced by the company name Productos de Acero Sociedad Anónima: then was born the first manufacturing plant of steel ropes in Chile. 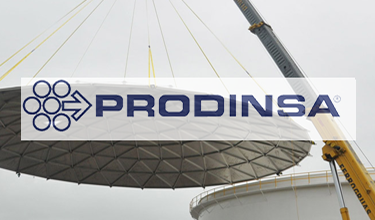 In 1993 Prodinsa was acquired by Inchalam, which belongs to the Belgian group Bekaert (world leader in the manufacture of wire) and the Chilean families Matetic and Conrads.